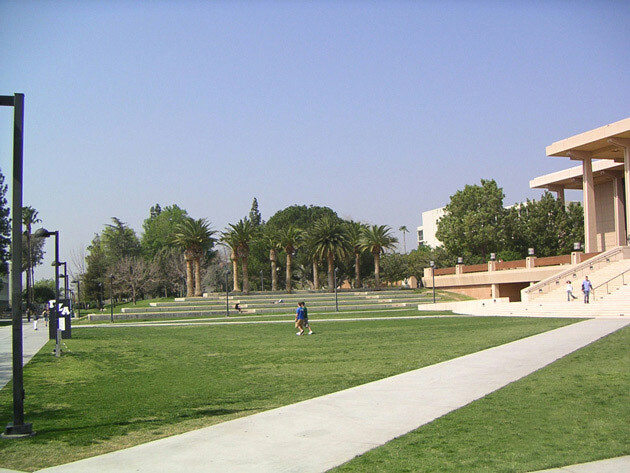 The CSUN Reconstruction Master Plan addresses two major problems: the campus’s overall lack of physical identity—the result of randomly sited buildings and amorphous open spaces—and the damage from the 1994 Northridge earthquake. The new campus plan calls for native landscaping to establish primary pathways, open spaces, pedestrian paths and new multi-purpose meeting areas, along with improved lighting and signage. Design guidelines for all new construction prescribe that open space, landscape and architectural elements must contribute to the overall harmony of the campus. 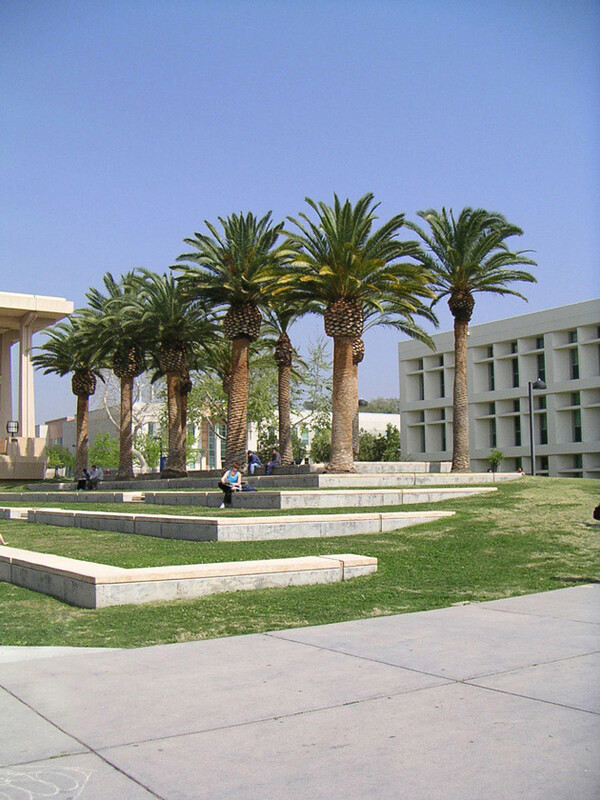 Completed in 1996, the Master Plan provides desperately needed solutions to the devastation wrought by a large-scale earthquake while fostering a vibrant, active future for the CSUN community. The Master Plan reinforced the social and physical focus of the campus around its central quad. The quad was redesigned to be more formal and public but also to accommodate all kinds of spontaneous student activities. 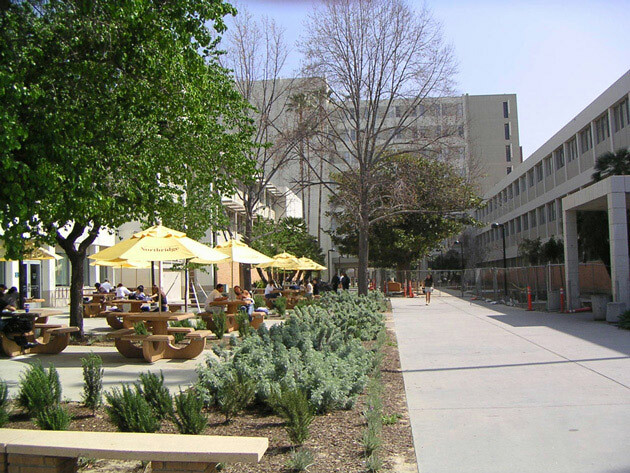 The Master Plan advocated for the ground floors of buildings in the center of campus to become places where students gather and linger.